The last few months have not been good for social housing. Or at least not good for those who believe that low-cost rented accommodation provides people on low incomes with a vital bit of stability in their lives. It has become clear that the current government doesn’t share this view, and, indeed, as Jules Birch pointed out recently, it appears that their view is that social housing actively contributes to people’s poverty by diverting them from the aspiration of owning their own homes. Whether you share this latter belief or not, you cannot ignore that major changes are happening in the sector, with funding being shifted away from subsidising rents to encouraging low-cost home ownership, a 1% rent cut being imposed across the board, and Right-to-Buy being extended to housing association tenants, albeit the latter now being arranged via a “voluntary” agreement brokered by the National Housing Federation rather than by legislation. And now housing magazine “Inside Housing” has produced a survey [paywall] which suggests that 72.1% of social landlords are cutting back on “non-core” activities as a result of the changed situation. They have decided that reduced funding and an uncertain policy environment mean that concentrating on managing the bricks and mortar is their best chance of survival. And so, community development, employment generation, and digital inclusion are just some of the activities which are being jettisoned as the hatches are battened down. But if social landlords are not going to deliver these services who is? It can be argued that people who live in social housing need these services more than ever in the current climate, and, certainly in the case of digital inclusion, cutting back on such services is classic cutting-off-the-nose-to-spite-the-face territory, as the advent of Universal Credit will severely threaten landlords’ ability to collect rents if tenants are unable to manage their finances online. And I can tell you this is happening as I am experiencing loss of work myself as organisations disinvest from such actions. Local government is hardly in a position to step in and pick up these services as it has experienced its own series of drastic cuts since 2010. And, despite the current Prime Minister’s early championing of the Big Society, it has always been clear that unpaid voluntary activity thrives in leafy suburbs and villages, not necessarily on social housing estates. So, activities which aid tenants’ well-being, incomes, and ability to pay their rents are starting to disappear. This will surely exacerbate the situation. Something needs to be done about this. I am therefore starting a “Non-Core Watch”. If you know of a social landlord cutting back on activities which improve tenants’ lives beyond the provision of a house then please describe it in the comments below, and raise awareness on social media using the hashtag #noncore. We need to understand what is happening and begin to organise action to save such services before it is too late for our communities. This week I was part of an interesting, and not a little exciting, first. 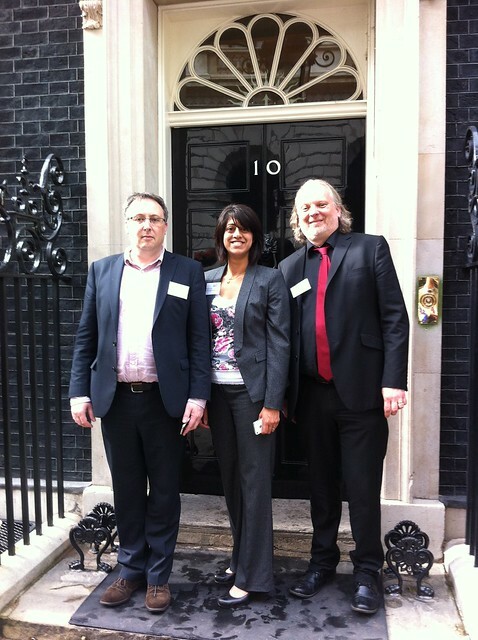 Monica Tailor, who runs Leeds Social Media Surgery with me, and myself were asked by Nick Booth, the originator of the of the Social Media Surgery concept, to accompany him to 10 Downing Street to accept the Prime Minister’s Big Society Award on behalf of the Social Media Surgeries movement. This was interesting enough, but, a few days before we were due to make the trip to Westminster, Nick was contacted by Nick Jones of the Downing Street Communications Unit, suggesting that, as the three of us were “Social Media Surgeons” we were ideal candidates to conduct an experiment in being the first external visitors to be allowed to use social media from within 10 Downing Street. 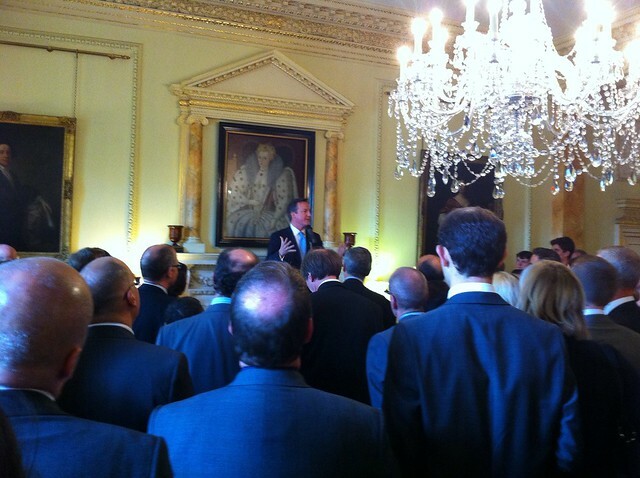 So, as we arrived at Number 10, we were met in the lobby by Nick Jones and his colleague, Anthony Simon, and ushered into a private room for a briefing. All this happened while all the other guests were being required to hand in their phones as they entered the building. And, a number of times during the evening, members of staff not in the picture asked us why we hadn’t handed over our phones. Nick and Anthony gave us a list of things we were and weren’t allowed to do, all sensible things mainly to do with ensuring we didn’t compromise security, and then we were off into the reception, phones in hands, unlike all the other guests. And below is the content we were able to capture. It’s not as much as we might have hoped, because, as luck would have it, Twitter suffered a world-wide outage during the early stages of the event. Oh, and there was the small matter of having to break off from social reporting to chat to the Prime Minister, who, incidentally, seemed to be genuinely interested in the power of Social Media Surgeries to spread skills and capacities through communities. I think the experiment went well, certainly Nick Jones and Anthony Simon seemed pleased as we left. Hopefully, we have set a precedent that will see more social media being used in the building. Hide and Seek World Record in Huddersfield! So, they did it! On 3rd July 2011, the members and staff of the Young Batley Centre Sunday Youth Club smashed the previous world record for the biggest game of Hide and Seek by getting 406 people to register and take part on a gloriously sunny afternoon in Beaumont Park, Huddersfield. It will be some time before the official confirmation of a World Record can be obtained from the Guinness Book of Records, but we know that will come. This Sunday (3rd July) sees an attempt on the world record for the most people in one Hide & Seek game being attempted in Beaumont Park, Huddersfield. The attempt kicks off at 12 noon at Beaumont Park, so, come along if you want to be part of history. I intend to be there doing various bits of social media stuff. Depending on what connectivity is like, I might even attempt a bit of live streaming. This week I was fortunate to be part of the the First AuntySocial Connected event which also incorporated the first Blackpool Social Media Surgery. AuntySocial, as described by one of its founders, Cath Mugonyi, is a group of mainly 18-30 year-olds living in and around Blackpool, who are passionate about social media and want to spread the word about how it can play a key role in helping assist with community regeneration in the town. 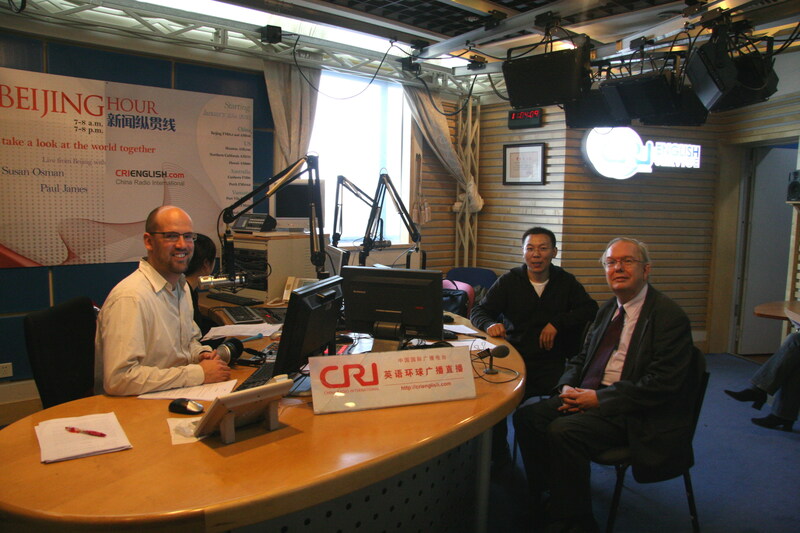 This was the first in a proposed regular series of events bringing people together with a common interest. I had originally approached Duncan Hodgson, a key member of the group, seeking support for running a Social Media Surgery in Blackpool as part of the work I am doing with the RSA, setting up new Surgeries. It was fortunate that Duncan, Cath and others had their own plans to press on with AuntySocial, and we were able to dovetail the two initiatives so that the first Social Media Surgery could take place as part of the AuntySocial event. This meant a slightly different format to most of the other Social Media Surgeries I have been involved with, as it kicked off with a couple of presentations. Nathaniel was followed by Duncan Hodgson who got people to “break the ice” by introducing themselves and suggesting 3 “hashstags”, brief facts about themselves. 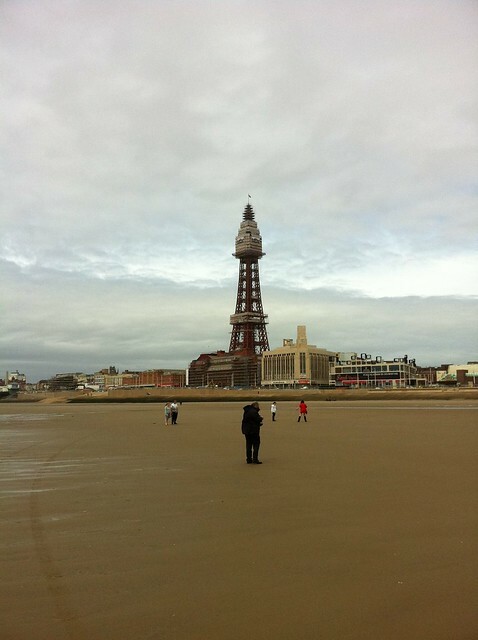 He followed this with a short presentation about social media stats in Blackpool and Lancashire. And then we were into the Social Media Surgery aspect of the evening, with people splitting into small groups for discussions with the “Surgeons”, all of whom were denoted by a smiley face on their badge. And this is where the different format really made a difference. I found that the group I was talking to were really buzzing, their heads were filled with ideas and suggestions coming from the presentations, and they wanted to explore all sorts of options. This was the first time ever, at any of the many Social Media Surgeries I have been part of, that I got into a serious discussion about the merits and uses of foursquare, which got me thinking about how the voluntary sector might use it. The members of my group were very intrigued when I showed them the “benefits” offered by some of the local venues for people who checked in there. In short, I thought this was a fantastic event. I want to thank Duncan, Cath and everyone else involved in helping to make it all happen, and they pulled it off in a relatively short space of time. They are already planning the second event, which is likely to happen in late July. And it was intriguing to see how a different format can work. I am a great believer in the informality of Social Media Surgeries, and in ensuring debates are not dictated by outside influences. But, I also think, particularly for the first event in a particular locality, a bit of facilitated discussion about the possibilities is worth trying to stimulate ideas. This certainly worked in Blackpool on Wednesday night. It gives me great pleasure to be able to write about this now. It’s been a while in gestation, but a project I am very proud of is nearing its fruition. 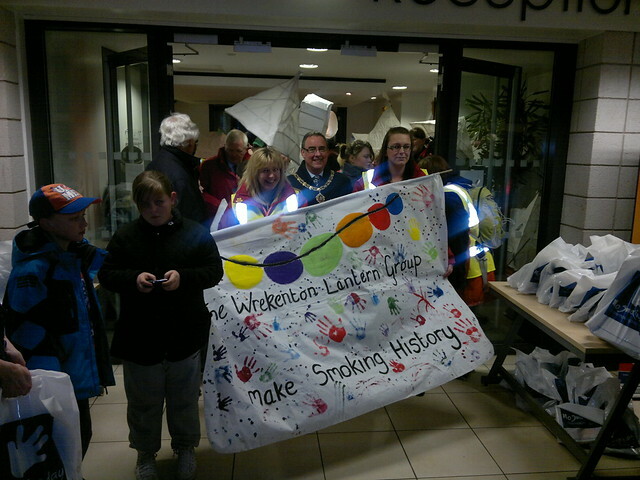 Sponsored by the Local Government Improvement and Development Tobacco Control Unit, I have been working with the Wrekenton Lantern Group. They are a group of women, all of them ex-smokers, living in Wrekenton, Gateshead, who came together to revive the tradition of Lantern Parades in their local community. They ran a “test” parade at Halloween 2010, and then built towards their big event, a major parade on National No Smoking day, March 9th 2011. 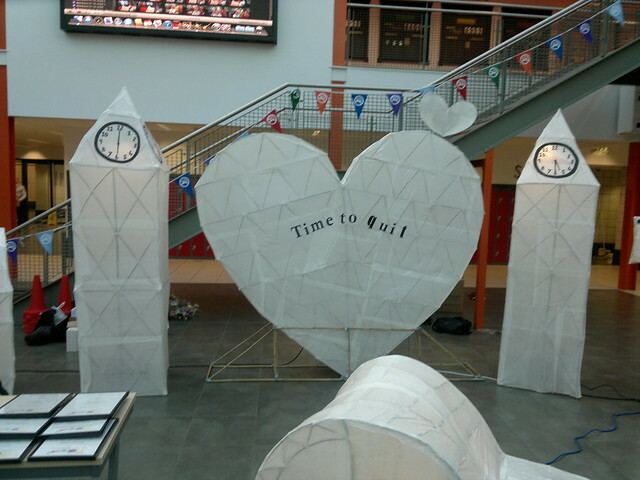 The Group worked with local schools and an artist to build elaborate lanterns designed around the theme “Time to Quit”. 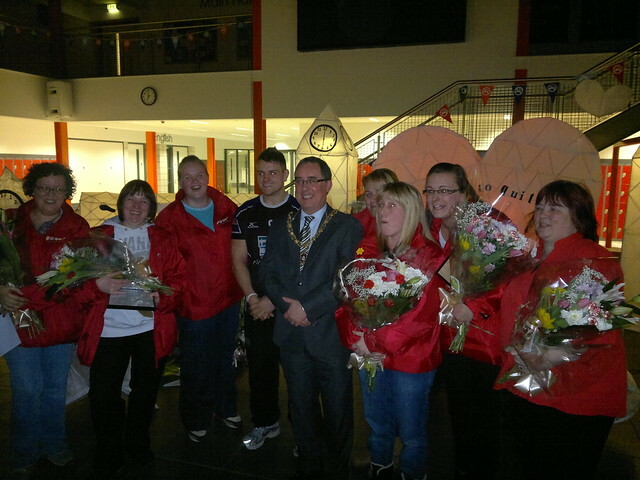 They’ve been able to involve a wide range of the local community in their activity through building the lanterns. They also encouraged school children to attach their own messages to the lanterns about their own hopes and fears about family members who smoke. All this activity culminated in more than 200 people taking part in the March 9th Parade and around 250 people were waiting for the parade to arrive at a local school. It was a wild, windy and blustery night. But the turnout for the parade made it all worthwhile for members of the Group and those who supported them. My role in all this has been to work with the Group to help them use social media to amplify and celebrate their activity, to spread their message and to engage both with other community members and agencies, politicians and policy makers. So successful has the Group been in spreading its message that Tyne Tees TV visited on 9th March and ran part of their North East Tonight regional news programme live from the event. The main concentration of my work with the Group was in helping them to document and celebrate their work in video. This is the kind of work I like best. I do filming myself, but I get particular satisfaction from passing the skills on to people who really need to know how to use them. The process with the Wrekenton Group was especially interesting. My first few sessions with them were quite difficult. The Group members are people who have a lot going on in their lives, and I think, at first at least, most of them found it a bit difficult to see why video making should be important. And, then, it all clicked into place. I turned up for one session and, instead of cracking on with showing them the next bit of video editing technique, I was told to sit down and watch what they had done since the last session. So they put the video on and I sat back in amazement, genuinely staggered by the progress they had made. From that point on they had got the bug and were really enthused about film making and testing what they could do with it. The Group showed a draft version of their video at the National No Smoking Day event, and it was warmly received by the audience of local people. Especially popular were the appearances of local school children, each of which was greeted with wild cheering by the friends of the child in question. The Group has got the video-making bug now, and, not only do they want to go on to make more films, but they also want to pass on the skills that I was able to show them to other groups in their community, and, potentially, the wider Gateshead area. From the point of view of the Tobacco Control Unit who commissioned this process this is a double win. Not only is there now a group of ex-smokers, living in a community with a high incidence of smoking, with a video to show that disseminates their anti-smoking messages, but, their desire to pass on these skills to other local residents will give them opportunities to show their film, with its messages, as a demonstration to others of what can be done in the film-making field. And so, the film itself is presented below, or at least the latest version is. There is still a bit more editing to be done. And, no, it’s not the most professional film production in the world, there’s some shaky camera work in there and some jerky edits, but from a standing start to producing this in just a few weeks is pretty amazing I think. And, with all such projects, it’s not necessarily the polished final production that matters, it is the process the Group members have gone through to get here. And the two most important points are (1) that this shows other ordinary people living in communities in Wrekenton that they can tell their own positive stories using the power of video and social media; and (2) that those people now have a tool to disseminate their anti-smoking messages. This last point is, I think, particularly important. I have always believed that peer-to-peer messages are far more acceptable than those disseminated by professionals, however well they are presented and package. People wanting to quit smoking in Wrekenton, Gateshead and elsewhere now have access to positive messages from people just like them who have been there, done it, and continue to keep up the fight. And, now, here’s a slightly snappier version of the video with a bit more coverage of the National No Smoking Day event. I’ve been involved in a number of conversations recently, both online and off, about how to improve the image of public services and make people appreciate them. This is not just the “glamour” tasks of doctors, nurses, firefighters, etc., but it’s about those people who beaver away making our lives better, mainly unseen by the general public. Now, I must admit I have not yet had time to watch the BBC’s “The Street that Cut Everything” in full, but I did catch a bit of it the other day. And the piece I caught was the end when the public services are restored to the street which has been living without them and doing their own thing for 6 weeks. I saw scenes of wild jubilation, including one resident kissing his dustbin as it was returned to him. So, it seems the way to make people love public services is to take them away. As the old saying goes; you don’t know what you’ve got till it’s gone. I’ll be catching up on the whole two episodes of the programme when I get a chance on the BBC iPlayer here. Last year, I had a bizarre idea which came to fruition. Now, I’ve got another one, which may, or may not, go in the same direction. 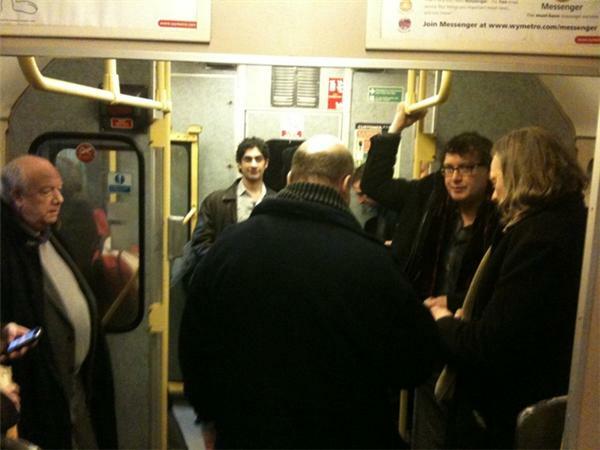 In February 2010, I ran the Social Media Train event (see here and here). This started off with what I thought was a silly idea, and ended up, on a snowy February day, with a large group of people turning up for an unconference in Sheffield and then piling onto a train to do stuff with social media as the vehicle rattled it’s way to Huddersfield and back. 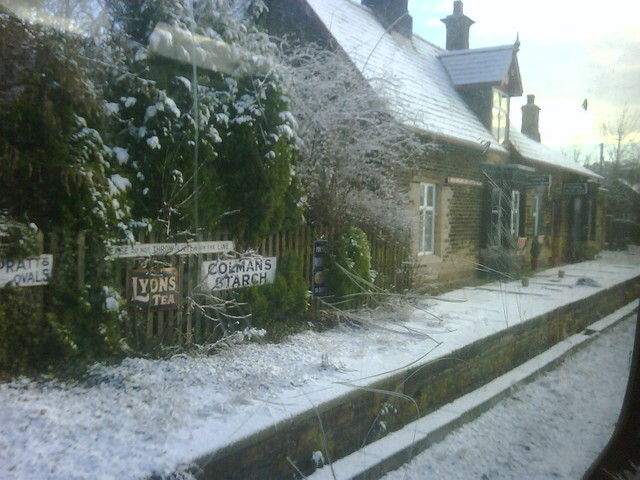 The genesis of this idea was my frustration at spending a lot of time on that particular train route, which, in the winter, rattles for 90 minutes through the dark, seemingly stopping at every small village in the Pennines. I suppose it was about putting to bed one of my pet hates, or even fears, and enlisting the support of my social media networks in doing so. Hopefully, those who came got something out of it too. So, this idea has a similar root. 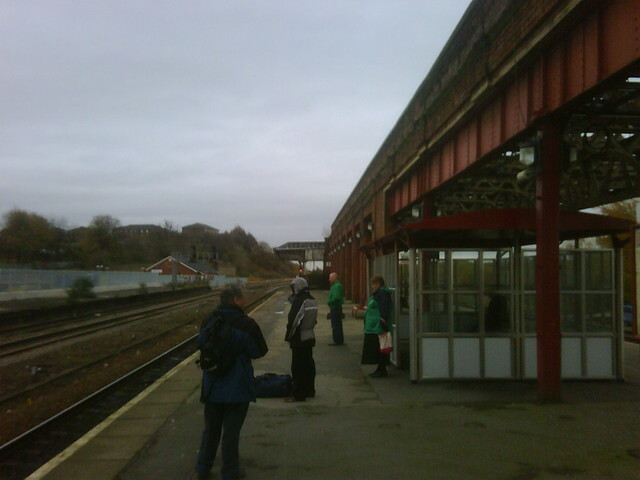 Those of you who follow me on Twitter will know that another pet hate of mine is Wakefield Kirkgate station . 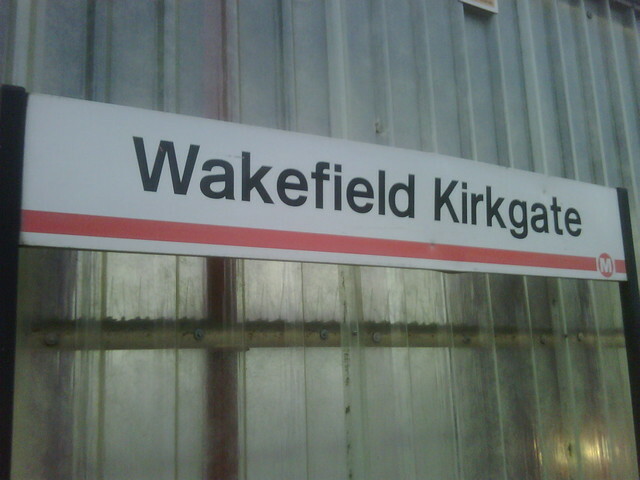 I have dubbed it the worst station in the country, although I think somewhere else was officially given that title (if so, I can’t believe the judges ever visited Wakefield Kirkgate). 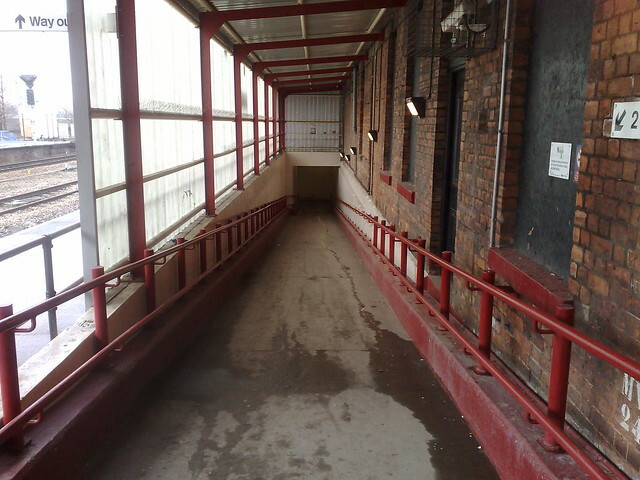 Some people think I am joking about Wakefield Kirkgate, but, it’s neglected, wind-swept, desolate environment is a stark reality, particularly to the woman who was raped there in 2008. So, like last year’s Penistone Line journey, This idea involves trains, social media, and slaying some demons. And, there’s a serious point to it as well. I have no idea what the people of Wakefield are doing to tackle the problems of Westgate station, I have chatted to some people in the council, and I know there are plans afoot, although whether these have withstood the public sector funding cuts, I don’t know. But, if we can do a little bit to help kick start a process of a wider public awareness of the state of the station, and, perhaps, encourage others to take an interest in its future, then we will have done some good. Maybe we won’t do any of this, but we could have a good time any way. As I’m writing this, I haven’t actually been to the station for several months, and I certainly haven’t checked out how feasible what I am proposing is. I will do that soon, but, meanwhile, here goes. 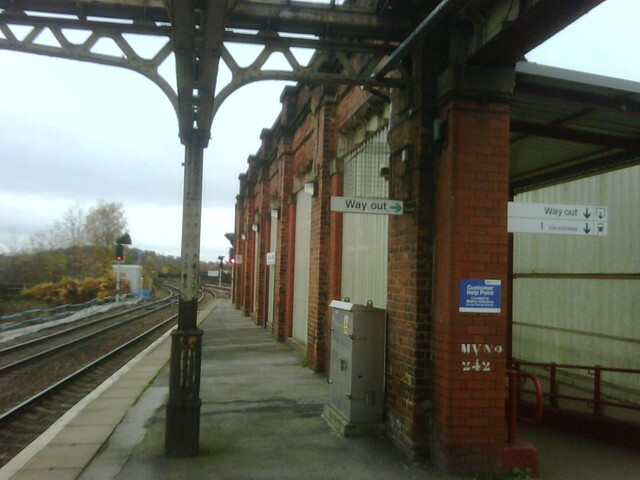 I am proposing that we hold an event at the station on the Pecha Kucha format (Leeds colleagues will know this as the Betta Kultcha format). These events are fun and informal evenings where a succession of speakers present to 20 slides which move on at 15 or 20 second intervals. They are quirky and ribald, with lots of audience participation. I think it is just the sort of event to brighten up a horrible environment and start the process of getting people to change their attitudes about a place. Now, as I say, I have some work to do to work out the practicalities of this. When I initially thought about it, my idea was to run the event on the central platform island, on a warm spring / summer’s evening. But, then I thought, if we’re doing slide presentations, we need power. I don’t know if we could bring power to that part of the station (anyone got a portable generator?). There are buildings on the site, but I have got an idea that they are unsafe and not able to be used. And, of course, even if we solve the power issue, there is the weather. Still, I am going to press on and see if all this is feasible. If I did it, would anyone come?